Being Australian I tuned to the sounds of nature at an early age. The whistling of the wind, bird song, crashing waves, and even the sound of my own breathing caused exhilaration. These days I enjoy playing the didgeridoo whilst ‘toning’ the crystal bowl. Like practicing Tai Chi, the playing of the bowl leaves me energised yet calm. On a recent summer evening I headed over to Main Beach Noosa to harmonise crystal bowl sounds with my didgeridoo improvisations. Holidaying tourists gathered around. More so, three dolphins surfed close in to enjoy the moment. They stayed. The harmonic sounds appeared to call these wonderful sea creatures. They posess a sonic radar system and possibly picked up on the timbre of high frequency vibrations emitted from the quartz crystal bowl. Whatever. An uplifting experience and unexpected crowd pleaser. The oscillating sound emitted by playing a crystal bowl is often called the purest tone in the world. 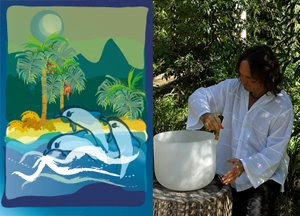 The instrument, similar to that of the Tibetan singing bowl, creates fluid sound that reverberates to create feelings of well-being and harmony. 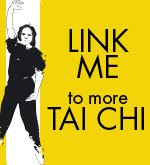 This ancient Chinese science of sound and guided imagery is known as Qigong. Prounced 'chee', Qi is your vital life energy, and gong represents the skill and discipline used to harness this Qi. check out what's been happening. New classes. Private lessons.